Antioxidant Vitamins are natural way of fighting off potentially dangerous molecules in your body. Free radicals damage the cells within your body that are vital to youthful appearance and good health. Free radicals are the molecules which are produced from environmental contaminants such as smoke and radiation. It can also be produced by the food you eat and play a major role in the development of heart disease and cancer. Nutritional Health Supplements are necessary for individuals who exercise regularly or who has an active lifestyle. It should be part of the nutritional plan of the athletes and fitness enthusiasts as well. It is an important part of healthy lifestyle. We live in the world where pollutants are the major part of life. So using antioxidant tablets or capsules are the best way to fight off those free radicals and keep a healthy body. Antioxidants Supplements help you to live longer and the best way to lead a healthy lifestyle. It has a specific role in your body and is necessary for active and healthy lifestyle. Antioxidants are elements that protect your cells against the effects of free radicals. Free radicals are particles formed when our body breaks down food, or by ecological contact like tobacco smoke and radiation. Free radicals can harm cells, and may play a role in cancer, heart disease and other such diseases. Many specialists believe that the damage caused by free radical plays a role in a number of chronic diseases. Free radicals can also hamper your immune system. So, fighting off this damage with antioxidants keeps your immune system strong, making you able to cope-up with flu, off colds and other infections. 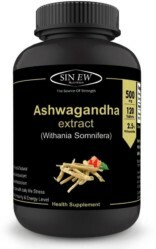 An antioxidant supplement is very helpful to your health in combination with good diet and regular work out. 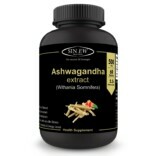 It is also believed that antioxidant supplements provide an anti-aging mechanism within your body. Antioxidants also allow your cells to stay healthy and strong. When your body’s cells are blooming, your immune system is performing at its best, and you have less of a possibility of getting ill or an infection. Antioxidants capsules help prevent extensive cellular devastation by donating components to alleviate free radicals. More notably, antioxidants return to the surface of the cell to soothe, rather than harm, other cellular mechanism. When there are not enough antioxidants to hold peroxidation in check, free radicals starts harming healthy cells, which can lead to health problems. For instance, free radical damage to immune cells can lead to an increased risk of infections and ailments. 1. People at 55+ years may use antioxidants in their diet regularly as it will make their immune system strong. Athletes with vigorous exercise need more antioxidant consumption to protect the body from free radical-induced oxidative stress & DNA damage. 2. Cancer patients – There is a widespread belief that antioxidants help with the side effects of cancer treatments, reduce the probability of the cancer persistent, and perks up overall health. 3. Vegetarians may need Antioxidants if they are not able to get the required nutrients from their regular diet. 1. Nature’s Bounty C-1000 Mg with Rose Hips:- It has an advanced antioxidant power for your immune system. 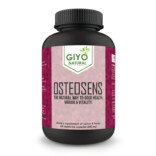 It supports heart functionality and improves healthy joints. Due to its additional antioxidant support vegetarian caplets are improved. 2. INLIFE Antioxidants Tablets:- INLIFE Antioxidant is a smart combination of Grape Seed, Lycopene& Green Tea Extract along with Minerals and Vitamins. 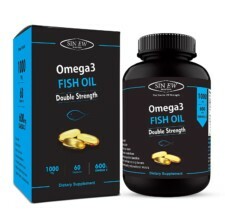 It avoids cell damage, defends the cell from free radicals, Boosts immunity, fights ageing and Lowers cholesterol levels. 3. Nature’s Bounty Antioxidant 4000:- Nature’s Bounty Antioxidant 4000 is a blend of minerals and vitamins that are powerful and strong antioxidants. It helps lessen early aging and also prevents the occurrence of age related ailments such as cardiovascular syndrome, cataract etc. 4. Vista Nutrition Lycopene – 10000:- Lycopene is a natural compound found to be the source of the brilliant red coloring found in tomatoes, red peppers. It may offer major protective benefits throughout the body due to its high antioxidant properties. As an effective antioxidant, lycopene help out in protecting cells from free radical damage, unbalanced molecules that assault cells which may lead to numerous health concerns and premature aging. 5. Fit & Glow Prenatal Fitness – Have a protected, healthy pregnancy with Fit & Glow Prenatal Fitness – Antioxidant. Besides improving the expecting mother’s metabolism, it also washes out the free radicals and toxins out from the body for a healthier fetus. 6. Nature’s Bounty Super Alpha Lipoic Acid 200mg- It serves as a perfect antioxidant for the body. It has a propensity to work well with the other vitamins and enzyme antioxidants present in our body, As a result it delivers a magnificent antioxidant support to the body. Our body is a battlefield against infection and diseases. Regular body functions like breathing, physical activity and other habits such as smoking produce a substance known as free radicals that harms healthy cells. When these healthy cells are damaged, they are more inclined to cardiovascular disease and certain types of cancers. Antioxidants tablets and capsules protect healthy cells from damage caused by free radicals. Daily Diets rich in vegetables and fruits, which are good supply of antioxidants, have been found to be helpful in fighting the free radicals; however, if you are still not getting the results a suitable Antioxidant supplement will be definitely help you in getting back a good health.